You are here: Home / MIDI Keyboards & Synthesizers / Korg Minilouge vs Korg Monologue: Which Synthesizer is Best? Both the Korg Minilogue and Korg Monologue are powerful analog synthesizers. An analog synthesizer uses analog circuits and signals to electronically generate sounds. The sounds are synthesized by the synth’s sending waveforms through its circuit board in different shapes, like a buzzy saw wave or a smooth sine wave. Raw waveforms are filtered on the synth by adjusting the parameters, like cutoff and resonance filters, attack, decay, release, and sustain envelopes. 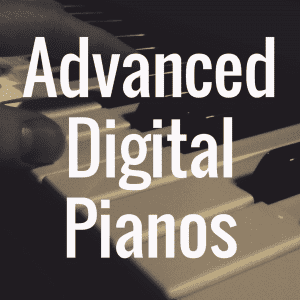 These terms are likely familiar to you if you have played on a digital synthesizer or digital piano that came loaded with multiple effects. Ultimately, an analog synthesizer offers musicians greater customizability and lets them experiment with sounds more freely than a digital synthesizer does. You can learn more about the differences between analog and digital synthesizers here. And in order to better help you, please use the guide below to directly compare the Korg Monologue and Korg Minilogue against other notable synths on the market. The Korg Minilogue is a stylish analog synthesizer with 37 slim keys; that is, the keys are smaller and thinner than those of an acoustic piano and even most digital piano keyboards. This synthesizer costs $730, which is pretty affordable. In order to offer this powerful instrument at such a low price, Korg had to redesign their analog synthesis technology. All of these are important elements of any quality analog synthesizer. A Voltage-Controlled Oscillator (VCO) is the most common sound source for analog synthesizers. VCOs create the sound by using basic waveform shapes, like saw and sine. A Voltage-Controlled Filter (VCF) is the part of the synthesizer that is most responsible for shaping the synth’s sound output by filtering out certain frequencies and letting others through. An Envelope Generator (EG) controls the change of the waveform over time, which helps musicians to experiment with the sounds they are creating in real-time. A Voltage-Controlled Amplifier (VCA) changes the amount of gain that is being applied to a signal that’s being passed through it. A Low Frequency Oscillator (LFO) adds movement and expression to a synth’s sound; an LFO can create sweeps, tremolo, vibrato, and other effects that fill out the synth’s sound output. All of these features help Minilogue users (and users of other synths, too) to customize their sound and create memorable synth riffs. Learn more about these features and familiarize yourself with other synth terms here. 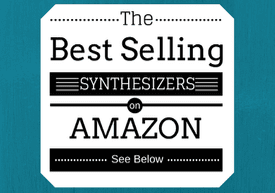 Below, take a look at some of the best selling synthesizers on the market, and see how well they stack up to the two synths we discuss and compare all throughout this article. The Korg Minilogue is a four-voice polyphonic synth, which means that this synthesizer can play up to four notes at the same time; that is, the Minilogue can play chords and musicians can hold notes with one hand while they play a riff or melody with their other hand. The Minilogue has eight voice types: poly, duo, unison, mono, chord, delay, arp, and sidechain. Poly mode lets you play up to four notes at a time, so this voice is perfect for playing chords or melodies that include harmonies. Duo mode cuts poly mode’s four-note polyphony down to two-note polyphony. 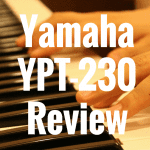 Players can still create rich, vibrant sounds with this voice and can layer notes, too. Mono mode makes it possible to essentially use the Minilogue as a monophonic synth; in this voice, only one note can be played at a time. This voice is powered in part by a sub oscillator that helps to create heavier, beefier synth leads and bass sounds. Chord mode lets musicians trigger chords by pressing a single key. For example, if you play a C on the Minilogue, the C chord can play without you having to finger all of the notes in the chord. Players can also program the Minilogue to play certain chords when a particular key is pressed. This feature is especially handy for playing live because the player really only has to use one finger to achieve the sound of a full-bodied chord. 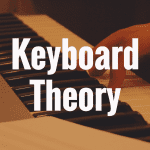 Chord mode is also useful for songwriting sessions because musicians will not have to adjust their whole hand in order to switch between chords while working out a song’s chord changes; instead, they simply have to lift their finger from one note before moving on to the next. Delay mode splits the Minilogue’s oscillators into repeating voices in order to create a delay effect. 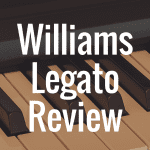 Players can program the synth so that each repetition sounds different, however, which allows them to either subtly shift the Minilogue’s sound output over time or to drastically change the sound output as they play on. Two to four voices can sound consecutively in delay mode, so this mode is polyphonic, too. Arp mode, as the name suggests, makes it possible for musicians to create arpeggiator sequences with all four of the Minilogue’s polyphonic voices. Musicians can choose from a variety of arpeggiator modes, like chord trigger, upward motion, downward motion, and random motion, in order to create interesting and dynamic patterns. Arp mode will particularly appeal to those who are looking to mimic the synth-pop sounds of 80s musicians and some of today’s top indie-pop artists. Finally, in sidechain mode, the volume of each new note that’s played lowers the volume of the note that was previously played. This allows the new note to take the foreground in the mix and in listeners’ ears. By itself, the Minilogue’s four-voice polyphony is impressive; Korg takes it one step, further, however by giving musicians the option to put these voices together in a variety of voice modes. All of these modes have the potential to spark endless creativity and will please new synth-players and veteran synth-nerds alike. The Minilogue comes with 100 presets; of course, the fun of playing a synthesizer comes from creating and playing our own sounds, and users can save 200 of their own program creations to the Minilogue. This will be especially useful to live musicians who need to call up the sounds they need for particular parts of their songs at a moment’s notice. This synthesizer has a 16-step sequencer. A sequencer is used to arrange—or sequence—events, like playing notes or turning the synth’s knobs, into patterns or songs. The Minilogue’s sequencer can be used in two ways. You can either record in real-time or program your performance via steps. Recording in real-time lets musicians automate multiple parameters in order to create complex patterns by overdubbing, which is recording over an existing recording. Thus, synth-players can layer performances over one another and create rich, thick sounds. Step recording, on the other hand, is perfect for creating rhythms and phrases; this recording method lets you record notes one at a time, which is perfect for creating riffs and melodies. The Minilogue’s learning curve isn’t steep. This synthesizer will appeal to beginners because a knob is provided for every parameter. That is, users can change aspects of their sound individually with the twist of a simple knob. Also, USB, MIDI and sync I/O makes it easy to connect other synth gear to the Minilogue. Learn more about the Minilogue here. Priced around $430, the 25-key Korg Monologue is a bit cheaper than the Korg Minilogue. The main difference between the Korg Minilogue and the Korg Monologue is that the Monologue is a monophonic synth. While polyphonic synths like the Minilogue can sound multiple notes at a time, monophonic synths can only play one note at a time. Although being able to only play one note at a time may seem a bit off-putting to some (especially those who are used to playing multiple notes at once on a digital piano), monophonic synths are perfect for playing solos, leads, and bass. Of course, because it’s a monophonic synth, the Monologue does not offer the voice modes that the Minilogue does. The Monologue comes with 80 factory presets, and users can save 20 of their own sound creations. There’s not a huge difference between the Minilogue and the Monologue in regard to factory presets, but users can save considerably more of their own presets to the Minilogue. Perhaps, the fact that Aphex Twin, a legendary electronic artist, created some of the Monologue’s presets makes up for the slight increase in factory presets and major decrease in user presets. The Monologue has a 16-step sequencer that works just like the Minilogue’s sequencer. That is, musicians can record in real-time or program their performance with steps. This synth can also be connected to other synths via USB, MIDI and sync I/O. Both of these synths are loaded with great factory presets, like heavy basses and memorable synth leads, so they both sound great. Ultimately, you have to evaluate your own needs and really think about why you’re looking for a new synth. 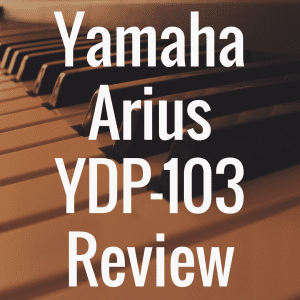 Do you want to primarily play chord progressions or bass lines and riffs? If you want the option to play more than one note at a time, the Korg Minilogue is right for you. If you know that you will primarily play bass lines, leads, or riffs, the Monologue might be the better option. 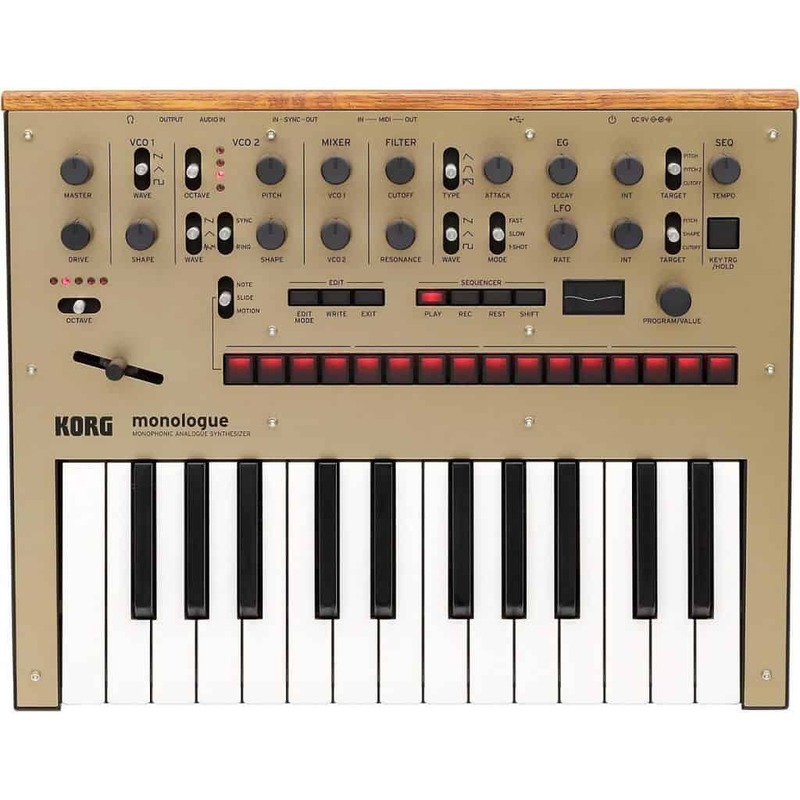 The Monologue also wins out over the Minilogue in the sound department because of its sound design. Aphex Twin designed some of the factory presets. Aphex Twin has been in the electronic music industry for years, so Monologue owners can rest assured that he created sounds that are up to the industry standard and that will appeal to experienced synth-players and to those who are trying to craft their own sound by imitating the masters. Which Synth Has the Best Features? The Korg Minilogue has more to offer in regard to a fully customized sound. With eight voice modes, players can play both polyphonically and monophonically. This is the only major feature that the Minilogue has that the Monologue does not. Both synths have a 16-step sequencer, so players can record their creations in the same way no matter which synth they end up going with. Which Synth Is the Most User Friendly? Both synths were created with the user in mind, and musicians can adjust the synths’ parameters with dedicated knobs. As such, the learning curve is not steep for either synth. Beginner synth-players can simply turn the synth on and start creating instantly. Both the Minilogue and the Monologue are easily connected to other synths. Through the use of an iRig, musicians can even connect their iPad or iPhone to their synth. Although both synths offer far more than can be expected at their price points, the Minilogue offers more sound variety simply because it is polyphonic. Although the Monologue is a great monophonic synth, musicians (especially those who are new to the magical world of synths) might find themselves itching to play more than one note at a time somewhere down the road. Of course, musicians who own more than one synth likely will not be bothered by this; after all, they simply have to switch their Monologue out with one of their polyphonic synths. For beginners, however, the Minilogue is the way to go because it allows you to grow and experiment without having to switch between it and another synth. Simply switch between the voice modes to play polyphonically or monophonically depending on what you need to play. 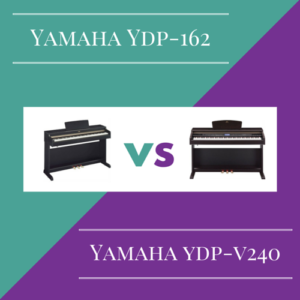 Analog Synthesizer vs Digital Synthesizer: Which is Best?